Arunachalam began to lose faith in the Sinhala leaders soon after the inauguration of the Ceylon National Congress. His efforts to mould the Ceylon National Congress on the lines of the Indian National Congress which rose above regional nationalism and interests were resisted by the group led by F.R. Senanayake. Arunachalam later said they refused to rise above the Sinhala nationalistic interests. They viewed every issue from the stand of Sinhala nationalism. The breaking point came before the 1921 Legislative Council election. Arunachalam asked Peiris and Samarawickrama that the Colombo Town seat be allocated to him in accordance to the agreement reached during the formation of the Ceylon National Congress. They turned down Arunachalam’s request saying that the acceptance of his request would mean the acceptance of the principle of communal representation. When pressed further they said that the pledge given in their capacity of presidents of the association which existed at that time had no binding on them as officials of the Ceylon National Congress. Arunachalam was overjoyed at the founding of the Ceylon National Congress. He felt satisfied that his dream of creating a united Sri Lanka had borne fruit. He gave vent to his satisfaction in his presidential address when he inaugurated the Ceylon National Congress on December 11, 1919 at the Public Hall, Colombo. May it be theirs to dwell in happiness. The Sinhalese and the Tamils were also overjoyed. I quoted last week the comment made by the Ceylon Daily News. The newspaper called the Congress a “great advance” and said that all those who worked to bring it into existence had reason to be proud of its achievement. It is today that we Ceylonese have achieved the aims and hopes we had entertained over a long period of time. The inauguration of the Ceylon National Congress today gives us all great pleasure. It is a great privilege for us all to be able to take part in this event, which could be said to be a special one in the history of this country. Let us, through this Congress, work towards achieving the general good by overcoming our prejudices of caste, religion and other differences, by all of us accepting each other as equals. Arunachalam’s presidential address to which Colombo newspapers gave prominence created a stir in Jaffna. The progressive sections of the youth welcomed it. It strengthened the progressives in the Jaffna Association who supported Sri Lankan nationalism. That group was proud that the Tamils were giving the lead to the growth of Sri Lankan nationalism. But the others were still not sure whether that attempt would succeed. They were convinced that unless strong safeguards were built into any constitutional arrangement the Sinhalese would grab the state power and marginalize the Tamils. With the united front presented by the Tamils and the Sinhalese, the people of this country had decided to abide by the decisions of the National Congress for the greater good of the country overlooking the differences between them. The feeling that Sinhalese and Tamils belong to the Sri Lankan nation grew among the leaders and the people of both communities. The Ceylon National Congress submitted to the British government the resolution adopted in the December 11, 1919 inaugural conference. Arunachalam had great hopes of building Sri Lankan nationalism. He started a daily Tamil newspaper ‘Desanesan’, the first Tamil daily published in Sri Lanka. He and E.V. Ratnam appointed Natesa Iyer, a Tajavoor Brahmin, who later became a trade unionist and a member of the Legislative Council, as the editor. The paper took up the cause of the plantation workers and Natesa Iyer published a series of investigative articles exposing the miserable conditions under which Indian Tamil workers lived and worked. The paper though short lived created an impact by campaigning for the building of Sri Lankan nationalism and the abolition of the Thundu System. Arunachalam’s dream of building a united Sri Lanka based on Sri Lankan nationalism was dashed with the announcement of the reconstitution of the Legislative Council in August 13, 1920. 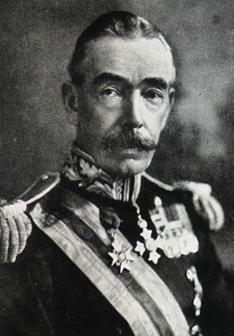 When Governor Sir William Manning (1918-25) forwarded the resolutions of the Ceylon National Council and the various representations made to him for the consideration of the Colonial Secretary he wrote, "Every community shall be represented and while there is a substantial non-official majority, no single community can impose its will on other communities if the latter are supported by the official members." The Secretary of State for Colonies, after considering the representation of different sections of opinion, procured an Order-in-Council, of August 13, 1920, reconstituting the Legislative Council. There were to be a total of 37 members - 14 officials and 23 unofficials. Eleven of the unofficials were to be elected on a territorial basis and five others to represent the Europeans, two for Burghers, one to represent the Chamber of Commerce, two nominated seats were given to the Kandyans and one each to the Indians and Muslims. For the first time, in the history of Sri Lanka it had an unofficial majority of nine members. Of the 11 elected seats the highly populated Western Province was allocated four and the other provinces one each. The seats allocated to the Western Province were: Western Province South A seat, Western Province South B seat, Colombo West seat and Colombo Municipal seat which was also called Colombo Town seat. Manning conceded in his reforms the demand of the Ceylon National Congress that unofficial members should form the majority in the Legislative Council. He did not concede the demand that all unofficial members should be elected territorially. He permitted only 11 unofficials to be territorially elected and eight through communal electorates. He also favoured the Kandyans with higher representation. When the time for the election for the territorial seats arrived, Arunachalam was prepared to file his nomination papers for the seat of Colombo Town. Immediately, a Sinhalese militant group headed by F. R. Senanayake which had gained control of the Congress started a campaign against him. That group had also managed to oust Arunachalam from the Congress presidency and had elected James Peiris for that post. F.R. Senanayake and his brother D.S. Senanayake, friends of Anagarika Dharmapala, came into prominence through the Temperance Movement. Arunachalam began to lose faith in the Sinhala leaders soon after the inauguration of the Ceylon National Congress. His efforts to mould the Ceylon National Congress on the lines of the Indian National Congress which rose above regional nationalism and interests were resisted by the group led by F.R. Senanayake. Arunachalam later said they refused to rise above Sinhala nationalistic interests. They viewed every issue from the stand of Sinhala nationalism. The breaking point came before the 1921 Legislative Council election. Arunachalam asked Peiris and Samarawickrama that Colombo Town seat be allocated to him in accordance to the agreement reached during the formation of the Ceylon National Congress. They turned down Arunachalam’s request saying that the acceptance of his request would mean the acceptance of the principle of communal representation. When pressed further they said that the pledge given in their capacity of presidents of the association which existed at that time had no binding on them as officials of the Ceylon National Congress. It may be that for political reasons, individual members with perfectly honest intentions, with the idea of maintaining unity, have entered into certain compromises and bargains with individuals of the North, the congress knows nothing of all this. F.R. Senanayake branded Arunachalam "an egoist who had an exaggerated notion of his importance and an extremist in politics". His group started a campaign saying that Sinhala electorates should elect real Sinhalese. The Ceylon National Congress announced the candidature of James Peiris for the Colombo Town seat. Arunachalam was intensely distressed over this betrayal. He was nearing his seventies by that time. He announced his resignation from the Ceylon National Congress and returned to Jaffna a disappointed man. Sir. A. Kanagasabai and A. Sabapathy, the two nominated Tamil members in the Legislative Council also resigned. All the Tamil members in the Ceylon National Congress too resigned. That was the first instance Tamils resigned en masse from a national organization. Their resignation reduced the Ceylon National Congress to a Sinhala organization. The election was held in March 1921. Peiris was elected uncontested for the Colombo Town seat and his brother-in-law H.A. de Mel was elected uncontested to Colombo West. W.W. Rajapaksa was elected uncontested to the Western Province A seat and E.W. Perera won the Western Province B seat. Of the 11 seats for which the election was held F. Duraswamy won the Northern Province seat and E.R. Tambimuttu won the Eastern Province. The other nine seats went to the Sinhalese. With the nomination of Ramanathan by the Governor the number of Tamils in the Legislative Council rose to three. With the nomination of two Sinhalese their number rose to 11. Some historians blame Manning for the break up of the Ceylon National Congress. Some others blame the two brothers-in-law, James Pieris and H.L.de Mel, for that disaster. Those who blame Manning say that he deliberately devised a hybrid system of territorial representation to exploit the Sinhala - Tamil rivalry. They also say that he exploited the caste difference among the Sinhala people and the rivalry between the Kandyan Sinhalese and the Low Country Sinhalese. They argue that Manning had formed an aversion to the Ceylon National Congress because he realized that the rooting and growth of Sri Lankan nationalism would pose a threat to the British rule. They blame the Manning Reforms for suppressing the emerging nationalist consensus. Manning was totally insensitive to the need for any substantial measure of constitutional reform, indeed he believed that any readjustment of the constitutional structure was detrimental to the British position in Sri Lanka and should therefore be resisted at all costs. At the time of Manning’s arrival, the Ceylon National Congress was in throes of formation. He watched those proceedings with a jaundiced eye. The vistas of political change which the newly established organization seemed to presage jarred the conservative instincts and even as the ‘constitutionalists’ were celebrating the success of their endeavours he was devising plans to upset them. Many felt that Sir Ponnambalam Arunachalam should have been given the Colombo Town Seat but the two brothers-in-law refused to give it. That was the straw that broke the national back. The Tamils lost their trust in the Sinhalese. This action has caused great anguish to the Tamils and created much animosity towards the Sinhalese. No one had imagined that the Sinhalese would break their promise in this manner. It is now blatantly obvious that the pledges and assurances once given by the Sinhalese leaders are now nothing but illusion. The main political issue at stake here is the agreement on the allocation of a special seat of the Western Province for Tamils, but the Sinhalese abandoned their pledge thus capturing the Western Province for themselves. The pledge given by Sinhalese leaders to the Tamil leaders earlier, that a seat would be reserved for a Tamil representative in the Western Province, was broken a few days ago at a committee meeting of the Ceylon National Congress. One leader declared that it was not necessary to stick to earlier understandings as changes have to be made according to changing times and circumstances. Arunachalam in an interview to The Times of Ceylon of December 14, 1921 recounted the events that led to his resignation from the Ceylon National Congress. He said that only those who had been in the inner councils of the reform movement could know the difficulty with which all communities were brought together on a common platform, the ceaseless toil and tact that were needed to remove ancient prejudices and jealousies, to harmonize dissensions and to create the indispensable basis for mutual trust and cooperation. This was rudely shattered by the conduct of a clique that had got hold of the Congress machine. The clique imposed its will on the weak president of the Congress, Mr. James Peiris, and his colleague Mr. E.J. Samarawickrama and compelled them to repudiate solemn pledges given by them in writing in regard to the seat in the city of Colombo. A blow was dealt to the trust of the Tamils in the Congress and its leaders and spread to every other minority. Mr. Peiris and his friends who reduced the Congress from a National Congress to one representing mainly a section of the Sinhalese had destroyed the feelings of mutual confidence and cooperation between the various communities. The sole reason for my withdrawing from the Congress was the subsequent breaking of the pledge. This pledge related to the question of adequate representation for the minority communities in the legislature. The breaking of a solemn pledge for the sake of benefitting James Peiris created a deep rift between the Sinhalese and the Tamils which affected deeply the course of the history of the country. That also strengthened the hands of the ‘communal representation’ group within the Jaffna Association. Sabapathy and Kanagasabai adopted a stronger stand in support of their demand for communal representation. The influence Indian nationalism had on the Tamil people weakened considerably. That was the time the Jaffna Association was divided into the ‘communal representation group’ and the ‘progressive group’. The ‘communal representative group’ which was also called the “safeguard group’ consisted of elderly conservative men who followed the Ramanathan- Arunachalam line of approach: building a united Sri Lanka within which the interests of the Tamil people should be safeguarded through communal representation. They were also influenced by the Indian independence movement to a certain extent. The ‘progressive group’ was made up of vibrant youngsters mostly the products of Jaffna College and graduates of Madras and Calcutta universities, centres that were in the forefront of the Indian independence movement. They entertained the vision of building a united independent Sri Lanka. The ‘progressive group’ was disappointed when Arunachalam resigned from the Ceylon National Congress. Arunachalam was engaged in a prolonged war of words with his former Sinhala colleagues before he formed the Tamil Mahajana Sabhai. He accused the Sinhala leaders of self interest and of failure to realize the importance of building Sri Lankan nationalism. The Sinhalese and Tamil political trouble is at present creating much turmoil among the Ceylonese. Whatever view they may hold as to the wisdom and expediency and whether or not it is binding on others, to the unsophisticated mind there can be no question that these two gentlemen are bound by it, and ought to keep to it and use their influence with their followers to do likewise. But they have both repudiated it…Is it any wonder that the Tamils refuse to trust the Sinhalese leaders of the Congress any longer and have decided to take independent action to safeguard their interests. My own duty is clear. I must stand by the pledge. A conference of Tamil representatives of all districts on the island was held at the Ridgeway Hall on Monday at 4:30 pm with the object of forming a Tamil Mahajana Sabhai for the protection of political, social and economic welfare of the Tamils of Ceylon. There was such a large gathering that it was decided to hold the meeting in the open air. Considerable enthusiasm prevailed with the arrival of Sir P. Arunachalam and Sir A. Kanagasabai, Sir Arunachalam who was unanimously voted to the chair delivered a stirring address which was enthusiastically received. In his address Arunachalam said the meeting had brought all Tamils under one banner to serve the aspirations of the Tamils as a whole. The public meeting of Tamils from the various parts of Ceylon resolves that an association called Tamil Mahajana Sabhai be formed with branches in all parts of the island to promote the political, social, educational, economic and general welfare of the Tamils. Every communal association in Ceylon is working towards obtaining for its community the benefits due to it from self-rule. The objective of the Tamil Mahajana Sabhai is also the same. Members of the Jaffna Association attended the inaugural meeting of the Tamil Mahajana Sabhai in full strength. Its president Sabapathy was elected one of the vice presidents. The progressive wing of the Jaffna Association joined the Tamil Mahajana Sabhai in the hope that it would serve Arunachalam’s ideal of promoting Sri Lankan nationalism. Among those who joined were: Handy Perinbanayagam, C. Balasingham, S. Balasundaram, P. Kandiah, T.N. Subbaiah, M.S. Eliyathamy, Kalai Pulavar Navaratnam, T.C. Rajaratnam and P. Nagalingam. They were soon disillusioned. Nagalingam with whom I worked in the Lanka Sama Samaja Party in the 1956 and 1960 general elections told me that they made continuous efforts to get Arunachalam back on track: his goal of Sri Lankan nationalism. They found that he could not get over the effect of the betrayal by his former Sinhala colleagues. They found that his health too was affected by the trauma he underwent during the struggle he had in the Ceylon National Congress. The progressive youth group found to their astonishment that the Tamil Mahajana Sabhai was also slipping into the hands of the Kanagasabai-Sabapathy ‘communal representation’ group that dominated the Jaffna Association. It also took up the demand for communal representation. The ‘progressive group’ pressurized Arunachalam to correct the situation and get back to his wider perspective of serving the Tamils and the country. Arunachalam who had not completely abandoned his wider view was uncertain about the course he should follow. Under heavy pressure from the progressive youth he decided to form another organization to serve his wider view of serving the Tamils and the country. He founded the Ceylon Tamil League on September 15, 1923. In Tamil it was named Ilangai Tamil Makkal Sangam. But the Tamils are not going to abandon the proud duty and privilege of service to all our brothers of every race and creed. But we object strongly being bullied or terrorized, we object to being underdogs of anybody, We mean to make ourselves strong to defend ourselves and strong also to work for the common good. This address reflected the struggle that was going in Arunachalam’s mind. He was talking in the same breath about serving Sri Lanka and about Tamilakam. But he did not live to explain his views. He went on a pilgrimage to the Hindu temples in Tamil Nadu. He died in Madurai on January 9, 1924. The new Legislative Council met in June 1921. 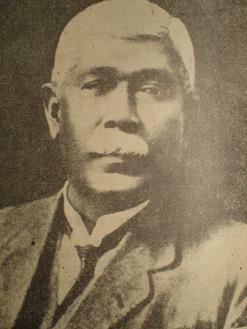 James Peiris, the president of the Ceylon National Congress which was not satisfied with the reformed council, moved an amendment to the Order-in-Council of 1920. He placed the resolutions embodying the proposals of the Ceylon National Congress for the consideration of the Legislative Council. Peiris attacked the 1921 reforms on two grounds: the veto power of the governor and the retention of communal representation. He proposed that the council should have 45 members, of whom six were to be officials, 28 territorially elected; communal and minority representations to be retained with slight alterations; an elected Speaker; the Executive Council should have three official members and three unofficial members chosen from the members of the Legislative Council; the repeal of the governor's powers to stop debates and other changes. E.W. Perera, spokesman of the Ceylon National Congress, made use of the debate to attack the extension of the scheme of communal representation. He called it a return to tribalism. He insisted that the system of communal representation should be done away with. I have something to say against the handful of would be leaders, who, because they have been gifted with considerable facility of expression and courage of conviction are preaching a kind of democracy which though suited to the homogenous conditions of western countries, is by no means suited to the very different conditions of Ceylon. The democracy proper to Ceylon is the government of Ceylon by officials selected by the King and by representatives elected by different communities who justly desire to protect efficiently their respective interests. The democracy in Ceylon should not allow one community enslave the remaining five communities. My Honourable friend, the Member for B Division of the Western Province (E.W. Perera) keeps harping that the vast majority of the people of Ceylon are Sinhalese, they must have an overwhelming voice in the government of the country. Is this glorification of the Sinhalese community to the detriment and degradation of the other five communities humane and just? The five communities Ramanathan referred to were : Tamils, Muslims, Indians, Burghers and Europeans. Then Sir, a man- I mean to say he is my brother Arunachalam- conceived the idea of forming a National Congress for Ceylon. The work was started in 1917, I believe, but what happened in the end of three years afterwards? Sir Arunachalam was obliged to sever connections with the Ceylon National Congress. He resigned the presidentship, many other members also seceded, because a handful of men had seized the machinery of the Ceylon National Congress and were working it for racial or personal aggrandizement. Sir Arunachalam publicly avowed that he retired from the Congress for the benefit of all the communities of Ceylon because a handful of its members were fighting for their own ends. This amazing discovery came upon us with a shock. And if my honourable friend asks why it is that we want communal representation our answer unhesitatingly is, “Because of your own conduct.” Had they played fair, had they continued to be just, had they been appreciative of all the interests of all different communities so that they could live together in amity and friendship in this glorious land, we would still have advocated territorial representation. When it came to the working out of this territorial representation in detail, Tamil delegates discovered that their Sinhalese colleagues, with certain exceptions, were striving to create electorates numerous enough in the Sinhalese districts to efface any opposition that may be offered on behalf of the other interests. Consequently, Tamil delegates and all the Tamil associations which had been affiliated to the congress retired from it and refused their cooperation. Thenceforth, the congress ceased to represent the joint views of the Sinhalese and the Tamils and at its last session it represented only the views of the Sinhalese, and even of them, the views of the Sinhalese were represented only by those who had consented to be politically organized. My brother Arunachalam, who was the founder and president of the Ceylon National Congress, from its inception in 1919, until the latter part of 1920, and was a member of the Executive Committee in 1921, has withdrawn from the congress. The composition of the Legislative Council is so arranged that while the government cannot carry a measure, except under clause 52 of the Order-in-Council in the face of united opposition of the unofficial members…. No single community can impose its will on the other communities. Clause 52 provided that if the Governor deemed the passing of any bill of paramount importance, only the votes of the official members and the nominated official members, not those of the unofficial members needed to be taken into account for the bill to be passed. The Secretary of State replied on January 11, 1923 that he agreed with the Governor that … in view of the existing conditions and the grouping of population in the colony, representation must for an indefinite period of time be in fact communal, whatever the arrangement of constituencies may be , and that of all the elected members were in form returned by territorial constituencies would none the less be in substance communal representations. The two statements (highlighted by me) and Manning’s clever strategy employed in the 1924 reforms to balance the numbers of the representatives of the Sinhalese and the minority communities altered the demand of the Tamils from communal representation to balanced representation. While the ‘communal representation’ group of the Jaffna Association adopted Manning’s bait youths of the ‘progressive group’ saw through it. The youth took up the failing Ramanathan-Arunachalam conviction on Sri Lankan Nationalism and led the Tamils on the wrong and fruitless path. Tamils suffered politically owing to their misdirected enthusiasm in the 1920s and 1930s. It cannot be totally ruled out as wasted years. Tamil society underwent a revolutionary change. Next: "The Birth and Death of the Jaffna Youth Congress"